Samurai were known for their devastatingly quick swords. 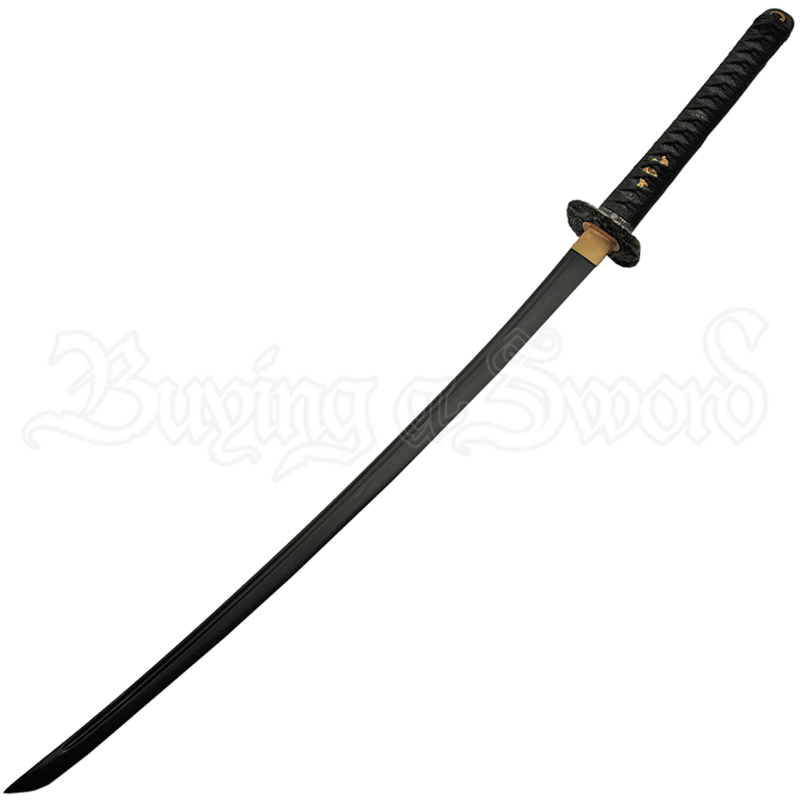 The Black Blade Cloud Dragon Katana is based on the traditional Japanese weapon, and its narrow, slightly curved carbon steel blade has a black finish furthering its sleek look. A fuller runs along most of its length. This samurai sword is made by hand and is highly detailed throughout. The rounded square guard, or tsuba, is black metal and decorated with a raised serpent dragon and spiral cloud design, set over the base of the brass blade collar. Following the tsuba is a black faux rayskin handle with gold tone palm ornaments, called menuki, underneath black cord wrapping. A matching black scabbard is included with this Japanese samurai display sword, as well as a black cloth cover that fits over both scabbard and sword for further protection. This black blade katana is the perfect way to add unique samurai style to your weapons collection and home decor.